HomeNews BlogNewsMark Your Calendars for Casino Night! 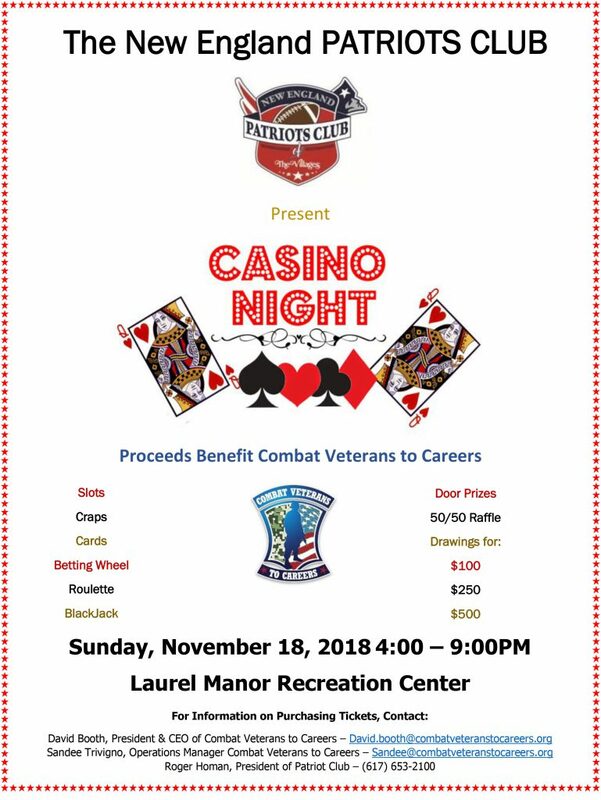 Save the date for Casino Night on Sunday, November 18, 2018, Presented by the New England Patriots Club of The Villages! Proceeds benefit Combat Veterans To Careers.